The fastest mammal in the world is not a rare sighting in Hwange National Park, but they are elusive enough to still get the guides excitement levels up. 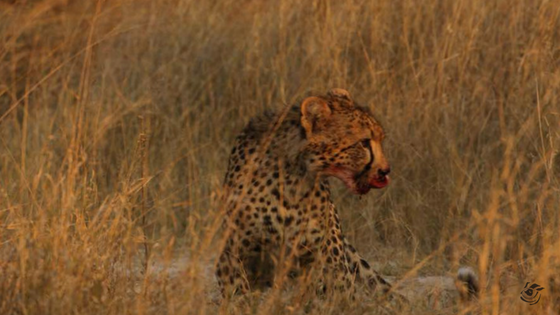 But to be able to find the Cheetahs, an adult female and 2 young males, and then be in luck to see them hunt and successfully make a kill, is such a treat! Sean was quick enough with his camera too that he even managed to get a few photos that I can share with you. There are lovely open grasslands and woodlands around the Hide Safari Camp, where he is guiding at the moment, which the cheetahs prefer. Their distinctive teardrop streaks down their face set them apart from the leopard, as well as their more slender body and their black ‘spot’ markings rather than ‘rosettes’. Surprisingly the call of a cheetah is more bird like than cat, with a chirrup being used to show excitement, and a shrill call used to communicate over long distances. They also purr like domestic cats when content! It is common to see a mother and her almost grown cubs hunting and socializing together, if male, these youngsters are likely to stay together even after they have left their mother. Other unrelated males can join to form coalitions ensuring a more successful hunting rate. Females usually separate from their siblings and live the independent life, only coming together with males to breed. Their speed over short distances has been recorded up to 105kn/h when fully extended but 85km/h being more that norm. These great speeds are only used in the final sprint of the hunt, and if not successful they tire and give up. If they are successful in catching up to the prey, there is usually a swipe of their paws to unbalance the soon to be meal, and once on the ground, they clench their strong jaws on the windpipe and strangle the creature. 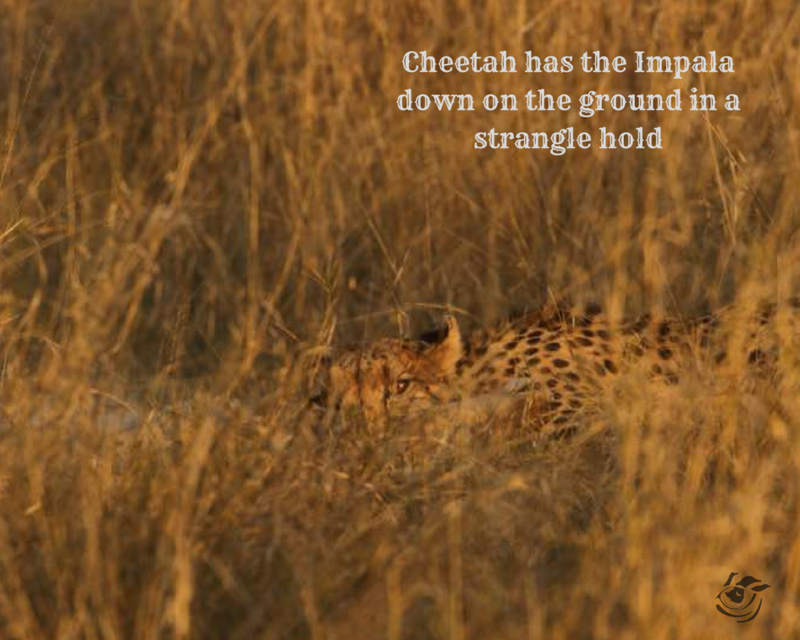 The small to medium sized buck are favoured by the cheetah, along with a wide range of ground living birds, hares and porcupines. They will also take the young or sick of the larger antelope, who straggle at the edges of a herd. 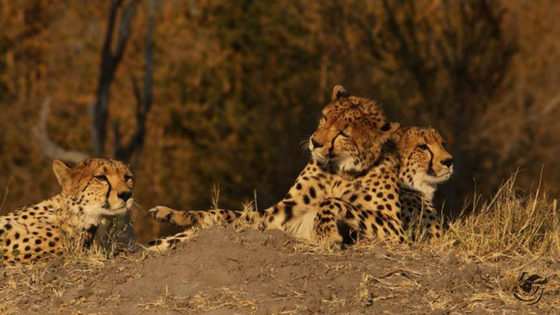 Cheetah Conservation Project Zimbabwe is a non profit organization that helps to conserve cheetahs through (applied) research, education, collaboration and capacity building. There has been very limited information is available about the current status of the national cheetah population as, over the past 15 years, there has been little to no research on Zimbabwean cheetahs. This is why Cheetah Conservation Project Zimbabwe, in liaison with the Zimbabwe Parks and Wildlife Management Authority and the Southern African Coordinator of the Range wide Conservation Program for Cheetah and Wild Dog, started a nationwide population survey. 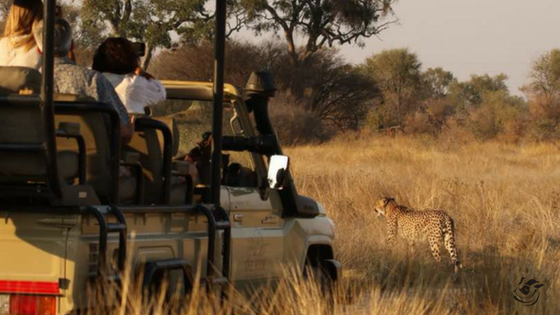 In 2012 CCPZ started with the collection of (historical) cheetah sightings from all over Zimbabwe, in addition, they carried out a questionnaire based field survey in northwest Zimbabwe in 2013. 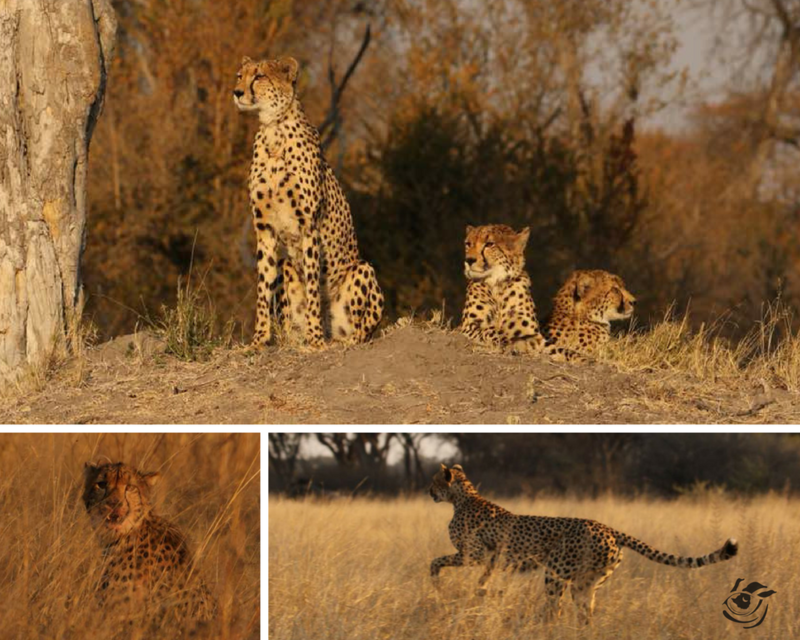 As this survey, in combination with the sightings and pictures, has proven to be an effective method to determine the population and conservation status of the cheetah, they will expand this field survey to southwest Zimbabwe in 2014. If you capture images of cheetah on your safari, send them along to Cheetah Zimbabwe to help them build their databases, and the might be able to give you the history of your photographed cheetah if they have them on file. What makes an exceptional Safari Guide?